Earlier this year, when we started talking about sending Lydia to camp, I knew I’d have to come up with some awesome shtick to make Asa un-sad about being left out of the big camp experience. Somehow we realized that How To Train Your Dragon 2 was coming out semi-close to camp and I decided to save it until that week (because Lydia didn’t want to see it anyway) and while Lydia was camping, we would be immersing ourselves in Dragon Week! 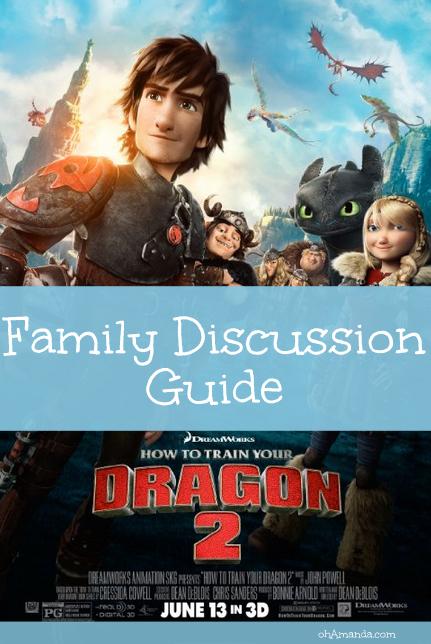 I’ll tell you more about our adventures with dragons later but let’s talk about the inspiration for Dragon Week, the new movie How To Train Your Dragon 2. I realize it’s been out for a few weeks so most of you have probably seen it by now. But even if you’ve seen it (especially if you’re planning on owning it), I think you’ll enjoy this discussion guide. This movie had some fabulous nuggets of truth in it. 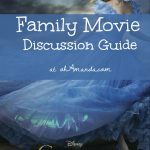 So many, in fact, Heather and I recorded another episode of Family Movie Moms podcast (a kinda regular series within the God Centered Mom podcast) to talk about how to use this movie to lead your kids to some God-converation. You can listen to the podcast here. Or simply use your smartphone’s podcast app and search for “God Centered Mom”. Easy peasy. You can save the podcast for later when you’re folding laundry. Let’s get to some specifics now, ok? Hiccup (a scrawny Viking in a town of huge manly Vikings) discovers dragons are not the dangerous man-eating psychopaths the Vikings believe them to be. In fact, they are sweet, gentle and more akin to dogs than anything. He changes the whole town with his new ideas and even restores the relationship with his dad, Stoick, the Viking Chief. Hiccup is 20 years old now (5 years after the first movie) and has really made advances in dragon training. The town makes dragon saddles and has all kinds of dragon-friendly devices. His dad asks him to take his place as chief but Hiccup doesn’t want to do it. He’s conflicted because he doesn’t feel like a chief. He feels unsure of who he is—his only interest is flying his dragon, Toothless around and adding to his handmade map of the world. Hiccup discovers a crew of surly dragon thieves who work for an even creepier guy named Drago. (Creative name, huh?) While Hiccup is investigating these dragon-rounder-uppers, he discovers an ice cave and a masked Dragon Rider who turns out to be his mother. His mother who he’s never known. His mother who he thought died when he was a baby. His mother, who apparently, left him because she liked dragons better. 1. The dragons are freaky. They aren’t grotesque or Lord of the Rings’ Orc-ish, but they aren’t happy little Puff the Magic Dragon, either. There are two heinous dragons called Bewilderbeasts who are the crux of the whole story and culminate in a big fight. If your kids don’t like scary monsters, or snarling beasts, this probably isn’t the movie for you. Hiccup and his girlfriend (called his “future-daughter-in-law” by Hiccup’s dad) share a kiss at the end. But as their relationship was mainly as teammates and friends, the kiss was highly unimportant to the film. (Unnecessary in my opinion, but not overly sexualized.) Plus, they are 20 years old. Not like they are kissing at 12 years old. However, there was this whole running joke between Hiccup’s friends, who are the comic relief of the movie, that was basically about lust. Two of the guys (Snoutloud and Fishlegs) are in love with Ruffnut and are vying for her attention the whole time. It’s harmless and she ignores them. Then, they meet one of the dragon thieves, Eret and she is immediately in love with him saying things like, “Take me! I’m yours!” and looking at him in slow-mo, watching his biceps move and blowing him kisses, etc. 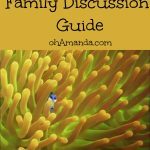 It was also the perfect opportunity to talk to your kids about the difference between a real relationship like Hiccup and Astrid (who have fun with each other, help each other, work together, etc.) or Hiccup’s parents (we’ll get to them in a minute) and the ridiculousness of Ruffnut’s reaction to how Eret looked instead of who he was. There was lots of fighting. Dragons blowing fire and vikings throwing swords and weapons was about half the movie. Lots and lots of fighting. Hiccup’s dad dies. It was a beautiful sacrificial death in which Stoick gives his life to save Hiccup. He’s honored as a servant-leader who was constantly thinking about others before himself. It’s the perfect opportunity to talk about serving others, giving of yourself, putting others first and even Christ’s sacrifice for us. But, if death (especially death of a parent) would bother your child, this might not be the movie to see. Read John 15:12-14 and talk about what Jesus said was the true measure of love. Now. Why you WILL want to see this movie with your kids. This guy is a real man. He’s a man worth emulating. When Stoick discovers that his wife is still alive, she assumes he will be mad at her for leaving him. Instead, Stoick’s first words to her are, “You are as beautiful as the day I lost you.” and from that point on, begins to woo her back to him. Not demanding she come home and be his little wife. No, he sings her a love song, lets her warm up to the idea of being a wife and mother again and treats her as an equal (and even as more knowledgeable) about dragons. Read Ephesians 5:22-33 and talk about how husbands are to love their wives as much as their own bodies, protecting them and honoring them above everyone. In the end, Drago’s bewilderbeast hypnotizes all the dragons, including Toothless, Hiccup’s dragon. Hiccup believes he can get Toothless out of his entrancement and finally (through love and forgiveness) snaps him out of the alpha dragon’s control. But in order for Toothless and Hiccup to fight the bewilderbeast together, Hiccup places a blindfold on Toothless’ eyes and says, “We’ll have to do this together. As one. Do you trust me?” Hiccup then leads Toothless through the air, helping him to ignore the call of the evil dragon. This was beautiful! A perfect picture of temptation and not allowing outside forces into your heart and mind. Toothless had to focus and concentrate on the relationship he had with Hiccup so he wouldn’t be swayed. Read Romans 8:5 and talk about how we need to look to the Holy Spirit inside of us and follow His lead instead of our own desires, or the desires of those around us. How could we listen to the Holy Spirit next time we have something tempting us to do wrong? Read 2 Corinthians 5:7 and talk about living and walking by faith in God’s Word and promises and not by what we see in front of us. Is there a promise in God’s Word you need to focus on in your heart today–instead of a bad situation you can see with your eyes? Read parts of John 15 and/or John 17:21 and talk about being one with Jesus and joined to Him. What would it be like to work with Jesus the way Toothless and Hiccup worked together? Usually, in kids’ movies, there is some misunderstood kid who is different from the rest of his group but everything turns out OK in the end because this kid followed his heart. And as much as I want my kids to be who God wants them to be regardless of what I think, or others think, there is something dangerous about this thinking because it places your desires and emotions as #1 in decision-making. Which, as responsible adults know, is not always the best idea! Hiccup’s dad wanted Hiccup to take his places as Viking chief. Hiccup didn’t want to because he didn’t “feel like a chief”. When he meets his mom, she thinks Hiccup should stay with her an learn how to care for dragons because “this is who you are”. In the end, Hiccup learns that he’s really both of his parents combined. He can be the chief and protect the dragons. He learns to put others first and care for them (whether they be dragon or human) before himself. And that’s when he finds honor and fulfillment. Read 1 Peter 5:6 and talk about how true servanthood brings honor. 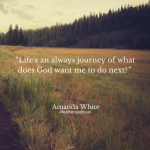 Read Jeremiah 29:11 and Ephesians 3:20 talk about how God has plans for us–plans better than we can imagine! I really enjoyed this movie. I thought it was a genuinely interesting movie with beautiful animation. I thought the lessons of family, honor and servanthood outweighed the fighting and dragon-ness of it. 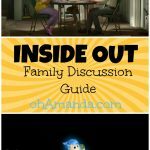 I definitely think you need to weigh the scariness and intensity of it for your kids but overall, I say a yes to this movie! With that being said, Lydia probably won’t see this movie. She’s not interested in big scary fighting scenes and knows she doesn’t want that stuff in her head or to waste her time on it. I’m not saying she couldn’t handle it. I don’t think she’d run out of the room or have nightmares. I just think it’s not worth it to her. So, it’s not worth it to me to push something like that on her. So, what are your thoughts on the movie? 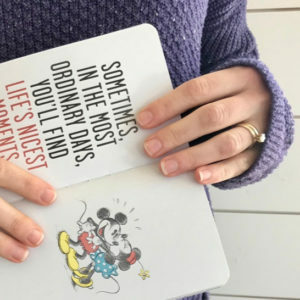 Did you write about it on your blog? 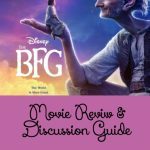 Or do you have some movie reviews/discussion guides on your blog you’d like to share? Maybe you did a Bible-based activity or had God-conversation you had with your kid because of a movie? Tell us about it in the comments OR if it’s on your blog (or you wanna write one quick and get it up!) link it up below! We’d love to read it–and share it with everyone! 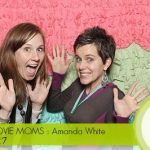 I might even add it to my Family Movie Moms Pinterest board! 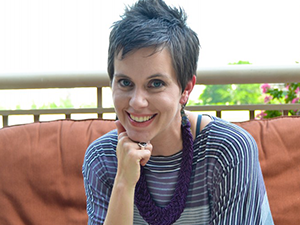 Don’t forget to check out the God Centered Mom Podcast to hear more of my thoughts (and Heather’s fabulous insights!) about How To Train Your Dragon 2! I saw this movie on my own dime. Just in case you were wondering.